People come to the Lilly Family School of Philanthropy from all different walks of life. Dr. Kathi Badertscher worked as a broker in corporate insurance for 26 years. “It was really good for a long time; I traveled, met people, and learned a lot,” she said. About 12 years ago, she began re-thinking what she wanted to do. After serving on several nonprofit boards, volunteering in the community, and reaching a turning point in her insurance career, Dr. Badertscher realized it was time for a change. “I found the then-Center on Philanthropy in a Google search. I thought ‘this is perfect; I can take a few classes and become a better board member, a more intentional donor, and overall be more systematic in how I approach volunteering and giving,’ ” she said. 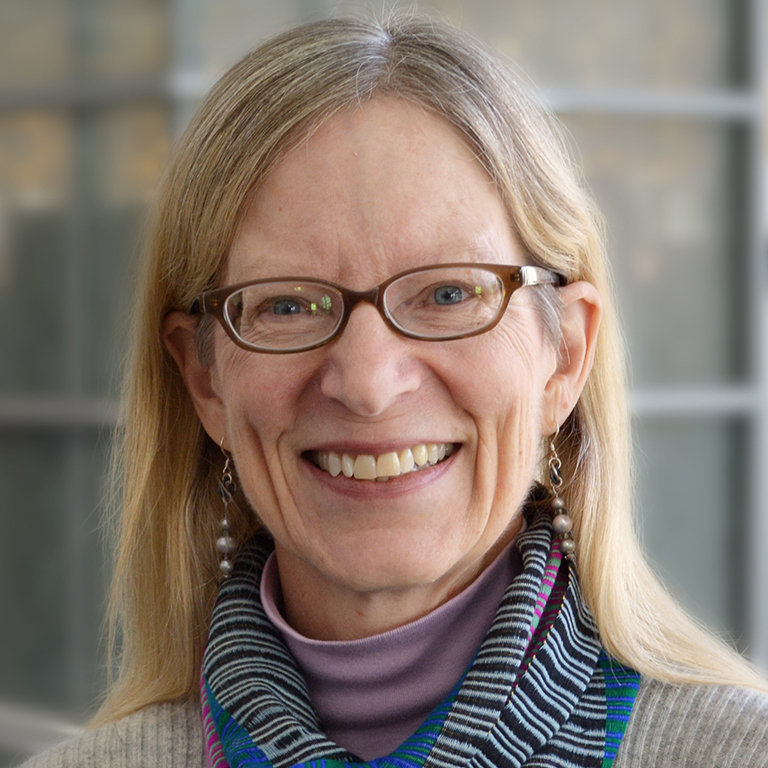 Well, a few classes rolled into a dual master’s degree (she also earned a master’s in history in the School of Liberal Arts), which then turned into a full Ph.D. Dr. Badertscher realized that she loved being in class and loved teaching, and the Ph.D. program combined that interest with her passion for philanthropic history and ethics. Six months out from finishing her Ph.D., an administrative position as director of master’s programs at the school opened up, and with her research, teaching, and management expertise, Dr. Badertscher was the perfect fit. Now, she works with the other program directors on curriculum, advising, and admissions, while assessing how well the program is doing in preparing students for their philanthropic futures. In addition to her administrative role, she finds new ways to incorporate technology into teaching. Along with teaching History of Philanthropy, Applying Ethics in Philanthropy, and other courses, Dr. Badertscher and Dr. Sherry Wang of Sun Yat-Sen University in Guangzhou, China developed and then co-taught a course through Course Networking titled Philanthropy Ethics, East and West for the first time last fall. Students in both the U.S. and China learned equal amounts about Eastern and Western philanthropic philosophies. “They learned how core ideas in philanthropy really are universal and ancient; the students loved the class,” Dr. Badertscher explained. She will be visiting China this spring, teaching one of Dr. Wang’s classes, and visiting the nongovernmental organizations that several of the students in those courses run. Even with her roles at the school, Dr. Badertscher finds time to volunteer outside the community. One important role has been her involvement at Coburn Place Safe Haven. Two years ago while presenting at the school’s two-day conference on Indiana philanthropy, she met executive master’s alumna and Coburn Place president and executive director Julia Kathary. After meeting Kathary for lunch and learning more about the organization, Dr. Badertscher requested a tour. Unbeknownst to her at the time of her tour, Coburn Place had learned of the loss of a significant federal government grant just that morning. Even so, the place impressed her. Hooked on the mission and recognizing smart and dedicated management, Dr. Badertscher joined the board shortly thereafter. Almost two years later she plays an important role in supporting Coburn Place, including sitting on the board, giving tours, and advocating for survivors of domestic violence. Her dedication to Coburn Place has led Pamela Clark, director of student services and admissions at the Lilly Family School of Philanthropy, to host jewelry fundraisers for the organization. 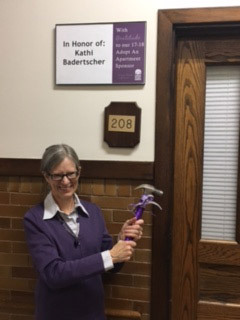 After one fundraiser, Clark donated the money to name an apartment in Dr. Badertscher’s honor for all the work she has done for Coburn Place. Dr. Badertscher and Kathary’s connection has sprung another Lilly Family School of Philanthropy connection. After Kathary spoke at one of Dr. Badertscher’s classes, undergraduate student Erin Wuertz decided to begin volunteering at Coburn Place. This has led Wuertz to multiple internships in the field she wants to work in. Almost three years after finishing her Ph.D. and more than 11 years after enrolling in her first class, Dr. Badertscher loves her new career. Dr. Badertscher says philanthropy is going to become more and more important as people realize government can’t solve all social problems and businesses can’t create enough opportunities for everyone, emphasizing the importance of a degree from the school. She also encourages anyone who is thinking of a career change to follow through with it. 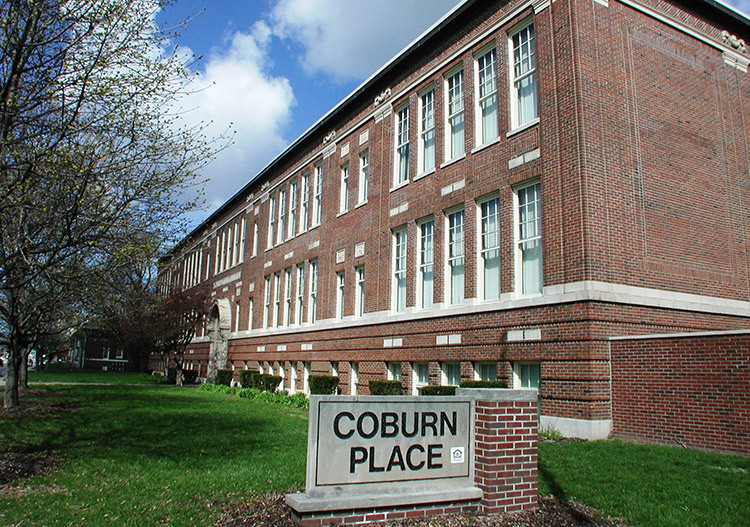 Interested in learning more about the school’s connection to Coburn Place? We’re featuring undergraduate student Erin Wuertz and her experiences next week.